When a K9 officer is injured on the job, it's a huge loss for any police department. The average K9 officer will spend nearly 2 months getting specific training on how to react and behave to dangerous situations. APPLETON, Wis. — When a K9 officer is injured on the job, it's a huge loss for any police department. The average K9 officer will spend nearly 2 months getting specific training on how to react and behave to dangerous situations. 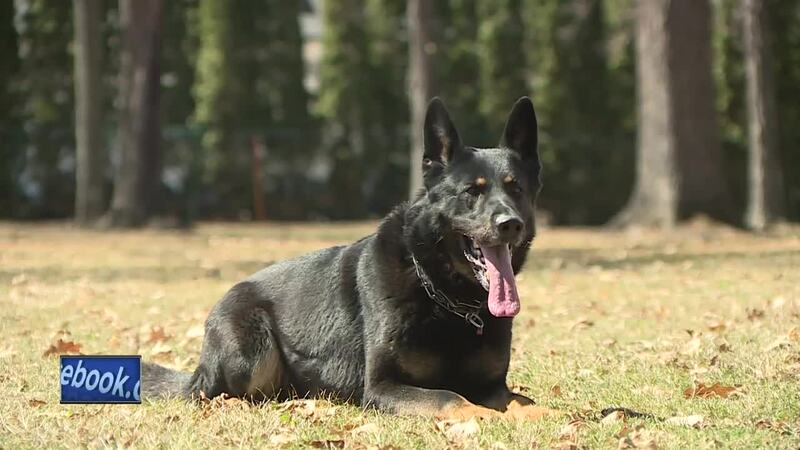 For example, K9 Eon and his handler have been working together at the Appleton Police Department now for just over three years. Sgt. Schneider says his dog cost about $15,000 to buy and train. He says he shares a bond with his partner that few people will ever find with their co-workers. "So, he comes home with me every night to spend time at my home and then is with me every day. A lot of times we actually spend more time with our k9 partners than we do with our families," says Sgt. Schneider. Eon is a patrol dog with a dual purpose of sniffing out explosives and narcotics, but his handler says he's also used to go into situations that could be dangerous for humans. Sgt. Schneider says having his dog by his side is a huge asset not just for the Appleton Police Department but also for the community he serves.